Animal Books For Children. The Top 10 Very Best Animal Books For Children. 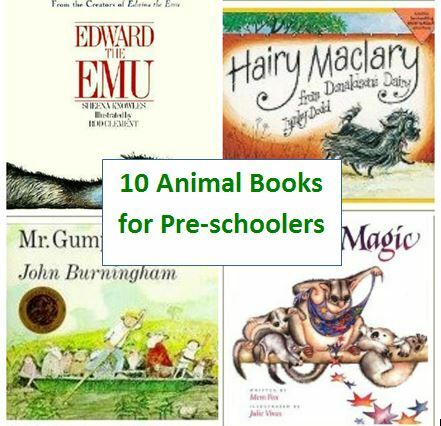 Animal books for children are always popular and, from experience, I can pretty much guarantee that the picture books on this list will be winners with children from birth right up to the age of about 5 years. 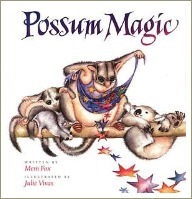 Some of these picture books are about Australian animals and are written by a wonderful Australian author, Mem Fox. Many of Mem's stories are written in rhyme, with lots of the repetition and rhythmic language which so appeals to young children. Not only is this kind of writing lovely to read and to listen to, it also plays a vital role in helping young children develop the skills they'll need in order to learn to read later on. 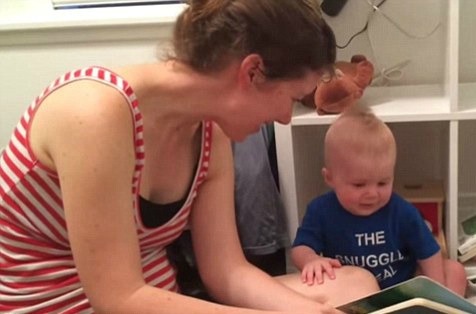 Of course, there are loads of animal books for children around and most of them are fun for babies and young children. If you don't know where to start though, have a look at the ones on this page. If you're in Australia, the animal books for children on this list should be available at your local library. 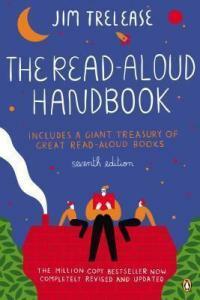 They're also available to buy at amazingly cheap prices and with free postage from the Book Depository. The Book Depository is my favourite place to buy books online these days. It's especially good for children's picture books because they can be quite expensive to buy in the shops but the Book Depository manages to supply them at very reasonable prices. This is one of the most gorgeous animal books for children with fantastic illustrations and a lovely and very funny story. With its Australian theme, it would make a great gift for a child overseas (I bought a copy for my nephew in New Zealand a few years ago). The illustrations in this book still make me laugh. 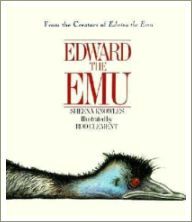 If you like this book, you'll also enjoy Edwina the Emu by the same authors. This is one of the best animal books for children, particularly if you're looking for a book for a young baby. 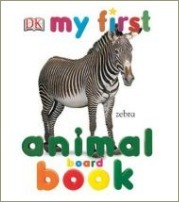 It's a basic, delightful board book filled with clear photos of all kinds of animals. Introduce this book when your baby is about six months old and you'll find it will be a real winner for years. This is a delightful story told in rhyme about Hairy McLary who goes for a walk with his friends, 'Muffin McLay like a bundle of hay', 'Hercules Morse, as big as a horse' and all the others. Lynley Dodd's animal books for children are a real treat and there's a whole series of them, all about Hairy McLary and his friends. I should perhaps explain here that Hairy McLary and his creator, Lynley Dodd, are New Zealanders. Now, if you don't know much about New Zealand, you may not know that a 'dairy' is the local corner shop. Remember those great places that used to sell a bit of everything, from bread and milk to ice-creams and sweets? These little shops have sadly almost disappeared in Sydney but they're alive and well in NZ! Recommended for ages: newborn - adult! 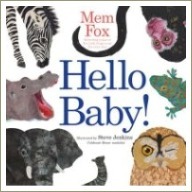 This gorgeous book by Mem Fox is essentially the story of a mother-daughter relationship. Koala Lou's mum tells her every day how much she loves her. But, as more babies arrive, Mother Koala gets busier and busier and has less time for Koala Lou. 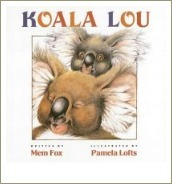 So Koala Lou decides to enter the Bush Olympics and, after much training, comes in at second place and is devastated. When Koala Lou returns home at the end of the day sadly dragging her 2nd place medal behind her, her mother hugs her and assures her that she still loves her and always will no matter what. This is a particularly lovely book for little ones who have - or are expecting - a new baby brother or sister. The illustrations are gorgeous and the reassuring message - that Mum will love you whatever happens - is one that all children like to hear again and again. 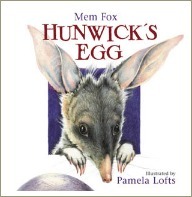 Hunwick is a Bilby, a marsupial that looks a bit like a mouse and is native to Australia. In this story, Hunwick finds an egg and makes friends with it, talking to it and taking care of it. While he and his neighbours patiently wait for it to hatch, Hunwick realizes that the egg is not an egg at all but something quite different, yet he loves it just the same. This is a delightful story about loneliness, friendship and being loved for who you are. This is a gorgeous book for this age group who love the animals and fully appreciate the potential for disaster when a boat is overcrowded. At first glance, this looks like an animal book for children designed for toddlers and babies. Not so! The humour in this delightful picture book appeals to all ages but especially to three and four-year-olds as they discover just what a wombat does all day. There are holes to be dug, territory to be defended and lots and lots of eating and sleeping to be done! 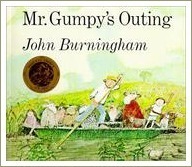 Fantastic illustrations and a truly lovely story. This is a lovely Christmas story by Mem Fox. 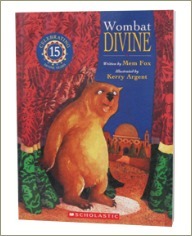 Wombat is just gorgeous and the story of how he so desperately wants to be in the Christmas nativity play and what happens when he tries out will enchant both children and adults. 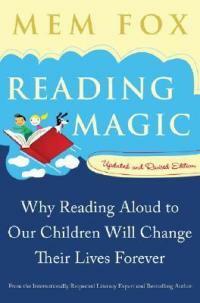 Yes, I know, I know ... another Mem Fox book! But honestly, I can't help it. Mem writes such wonderful animal books for children - deceptively simple, with lovely rhymes and repetition, plus the most beautiful illustrations. This one features a host of baby African animals to delight little ones and parents. It really is one of the best animal books for children I've ever come across.